Take a break from your busy day for a one-hour contemplative yoga session led by a popular Certified Yoga Instructor, Deanna Hunt. Sessions are every Monday at 7:00 pm (while school is in session) in the Sacred Space room of Colliver Hall (located beside Morris Chapel). 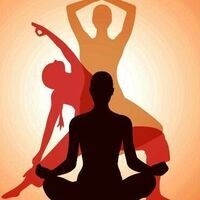 Contemplative yoga is an exercise of body, mind, and spirit. Find and receive grounding, renewal, and strength through participation in guided stretching and breathing exercises. Everyone is welcome. Classes are free for Pacific students, staff, and faculty (Please bring Pacific ID). Community members are also welcome to participate, subject to availability ($5 per session - cash only please). Limited availability - arrive on time, with your mat and in gym or yoga attire (please no jeans or heavy perfume). First time to yoga? Beginners are welcome! We have five yoga mats available on a first come, first served basis. Sponsored by Religious and Spiritual Life and Baun Fitness Center. For additional information or questions, please call 209-946-2538.